GRAND FINALE, HERE WE ARE!!! Day 3 of our Salar de Uyuni tour, this is when we actually arrive to the Salar de Uyuni itself! 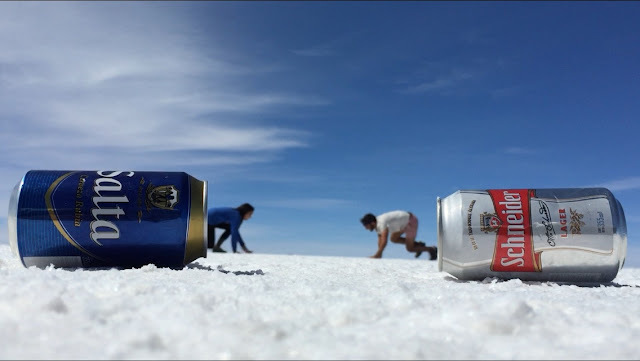 Salar de Uyuni is the world's largest salt flat, located in Southern Bolivia. 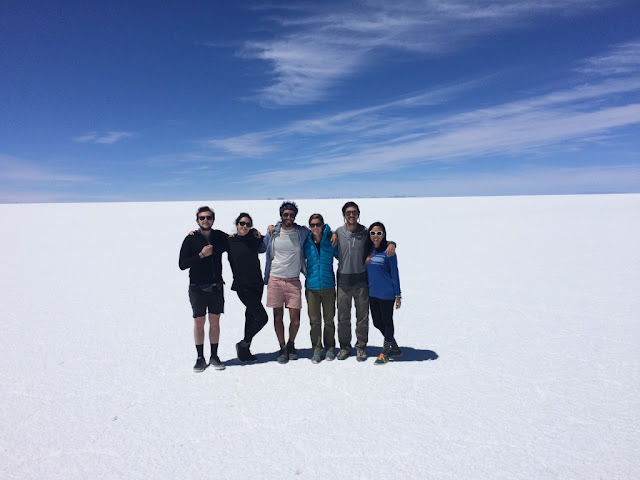 The salt flats formed due to the drying up of a prehistoric lake a very, very long time ago. Salar de Uyuni covers almost 12,000 sq km and is also at a super-high altitude (well, all of Bolivia is really) at almost 4,000 meters above sea level. And apparently 50-70% of the world's lithium reserves are in the Salar (thanks, wikipedia). 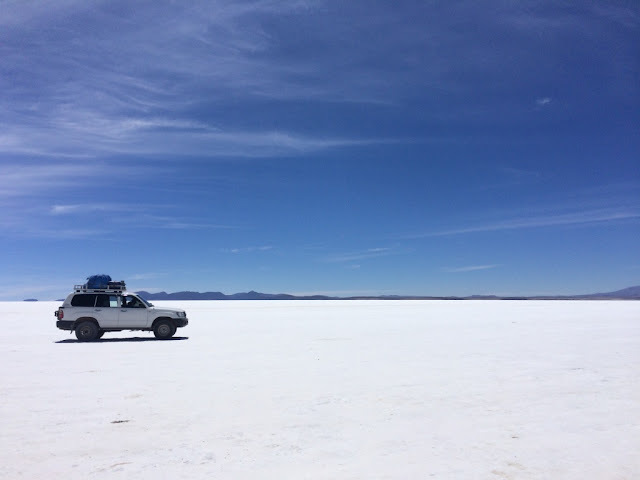 The salt flats are crazy - crusts of pure, blindingly white salt as far as the eye can see. And you hear crunchy noises as you walk. 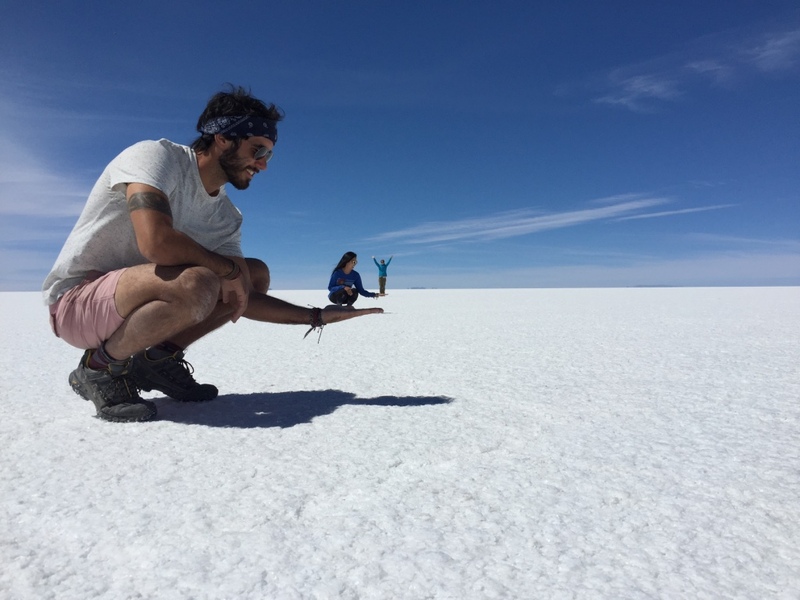 In wet season, Salar de Uyuni is covered with a thin layer of water, which results in amazing, reflective photos where the salt flats seem to go on forever (we didn't see this phenomena, but I've heard it's incredible). 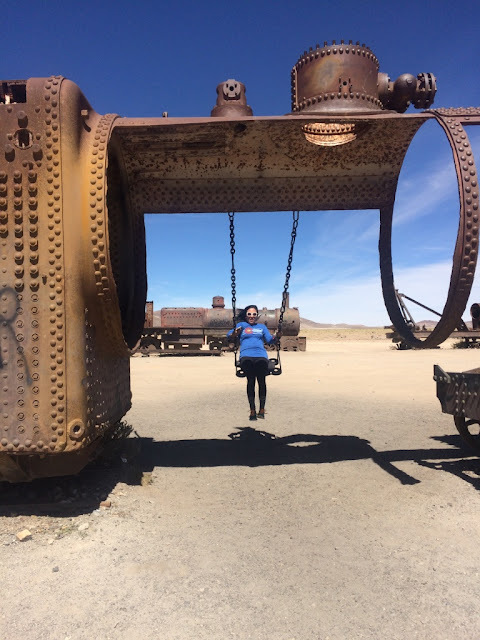 I'd heard about the salt flats a long, long time ago and have always wanted to come here. 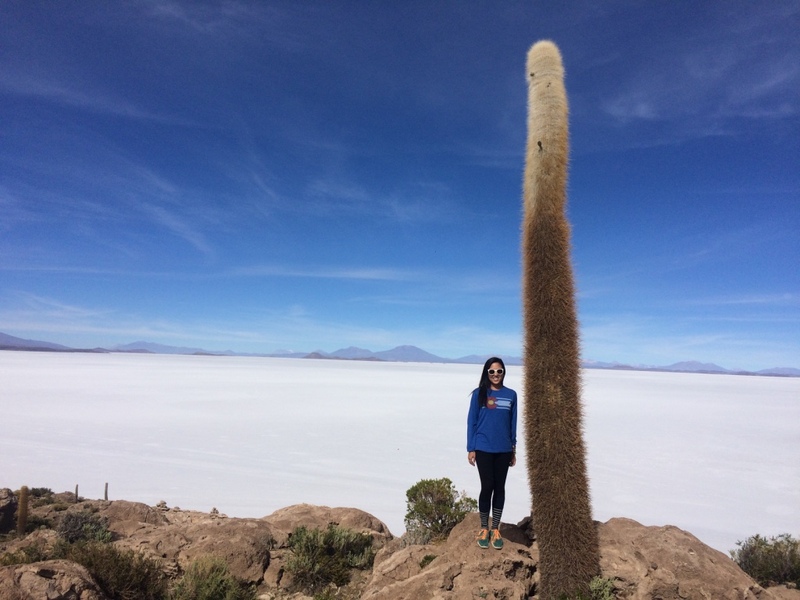 It was such an awe-inspiring experience. 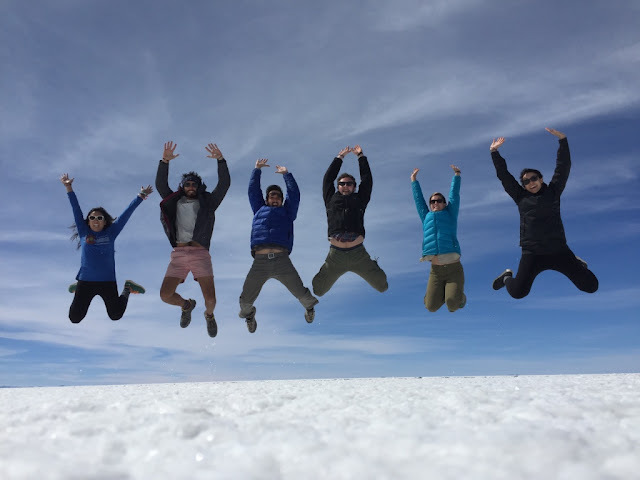 Because the salt flats are so expansive, and everything is so pure white, it's a fun place to take crazy perspective photos - which every tour group usually does. 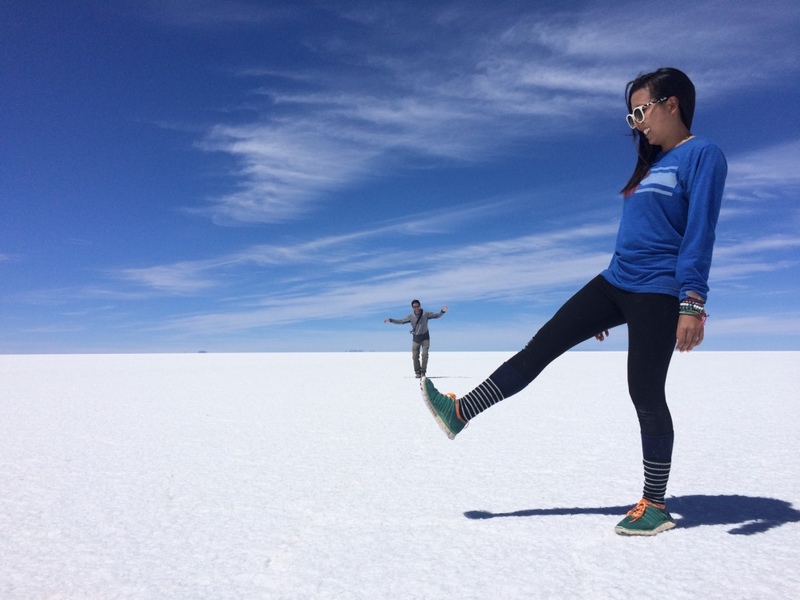 It's one of the iconic photos you'll see of Salar de Uyuni, usually - people doing crazy poses that mess with your perspective. Photos like this! Where I'm obviously being eaten by a T-Rex. 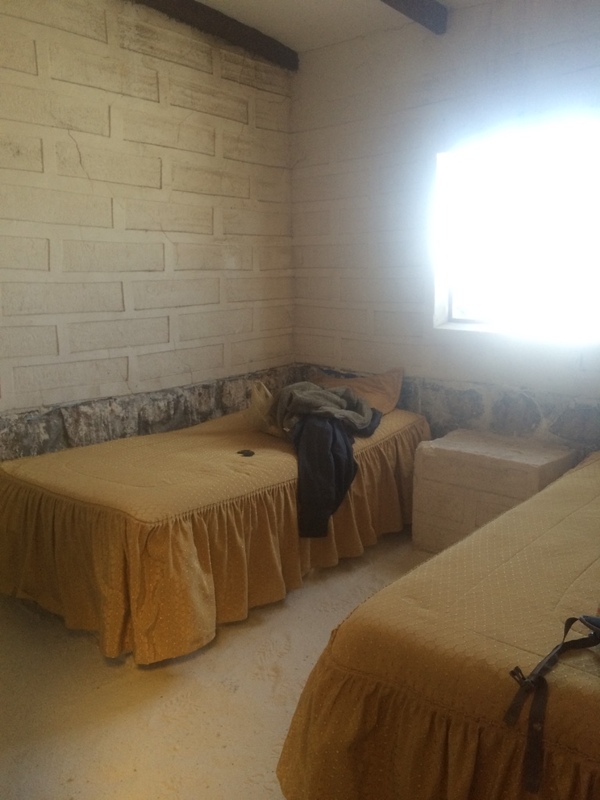 I'm starting with the night before we arrived at the salt flats, because our second night, we got to stay in a SALT HOTEL! Yes, it is exactly what it sounds like. That is, if it sounded like a hotel made of salt to you. 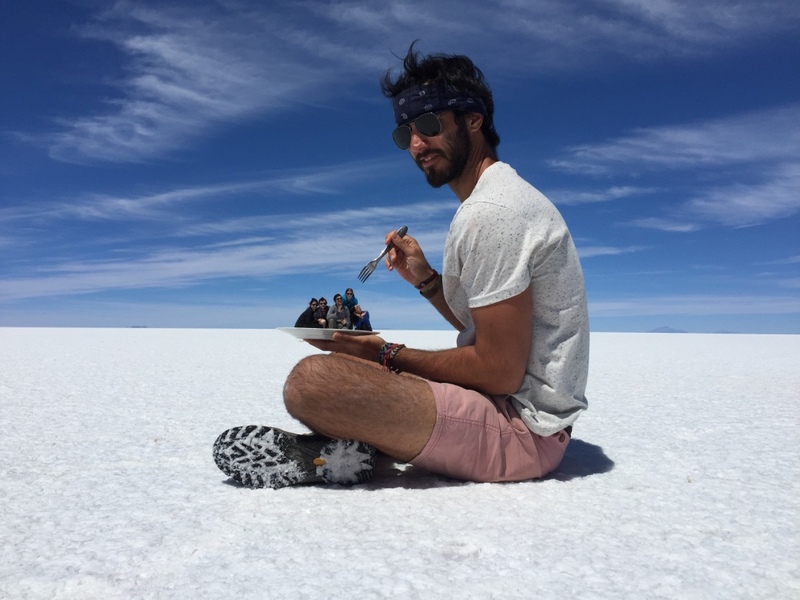 The dining room of the salt hotel! The tables and chairs were even made of salt blocks. Keela checked by licking them. 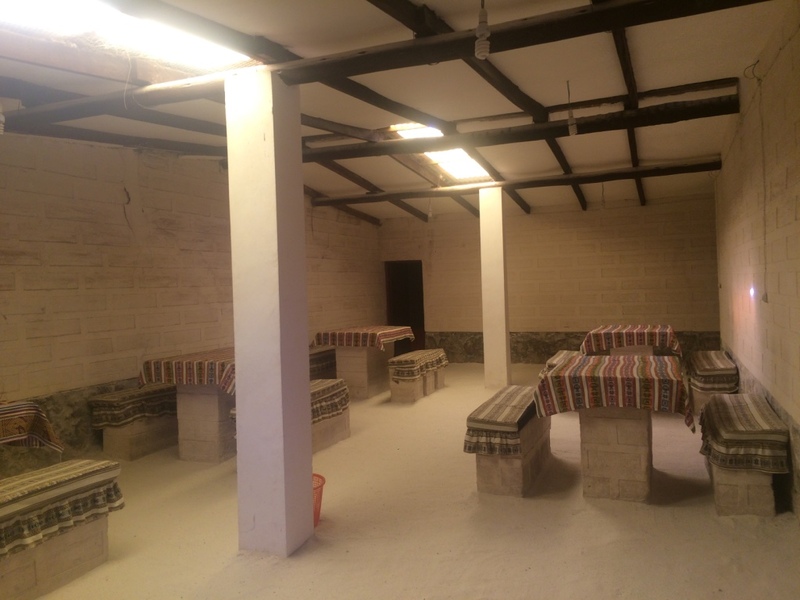 Our salt room. 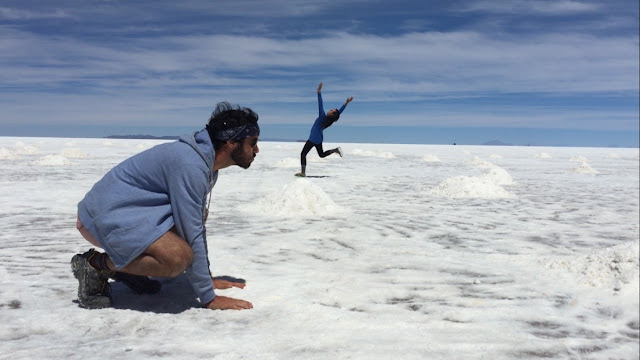 I have to say, the novelty of the salt wore off after awhile because the floor was all loose salt, and after taking a shower, it stuck to your feet and got everywhere all over your stuff. 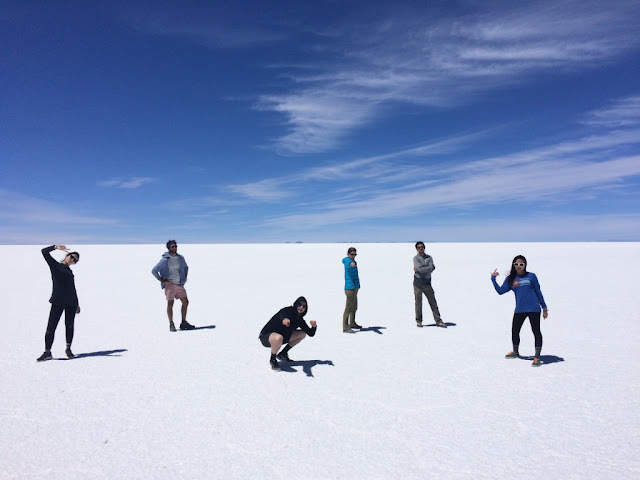 Our third and final day, we got up early to drive out to the salt flats! 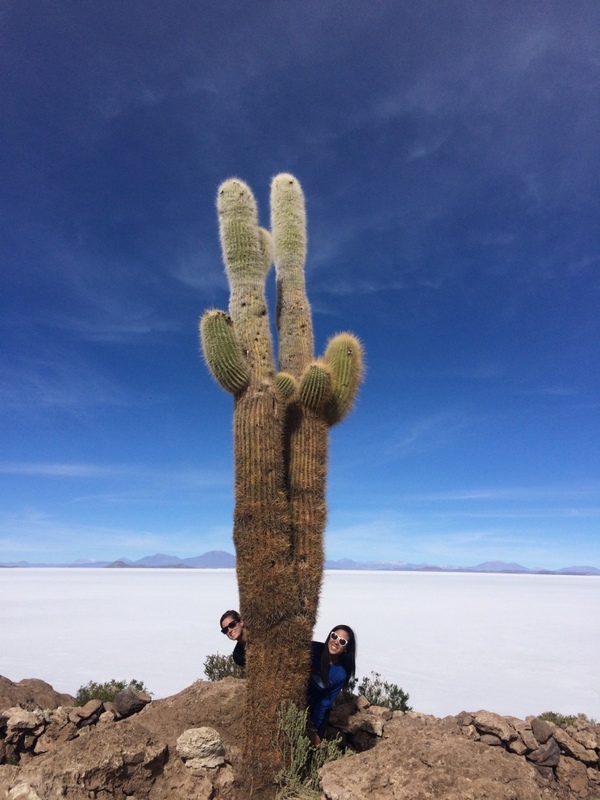 Our first stop at the flats was this crazy cactus island - it's literally a chunk of land in the middle of the flats that has zillions and zillions of cacti (did I pluralize that right??) all over. You can spend an hour or so hiking around and admiring the cacti against the salt flats. Very artistic. Connie and the giant cactus. Not phallic-looking at all, of course. 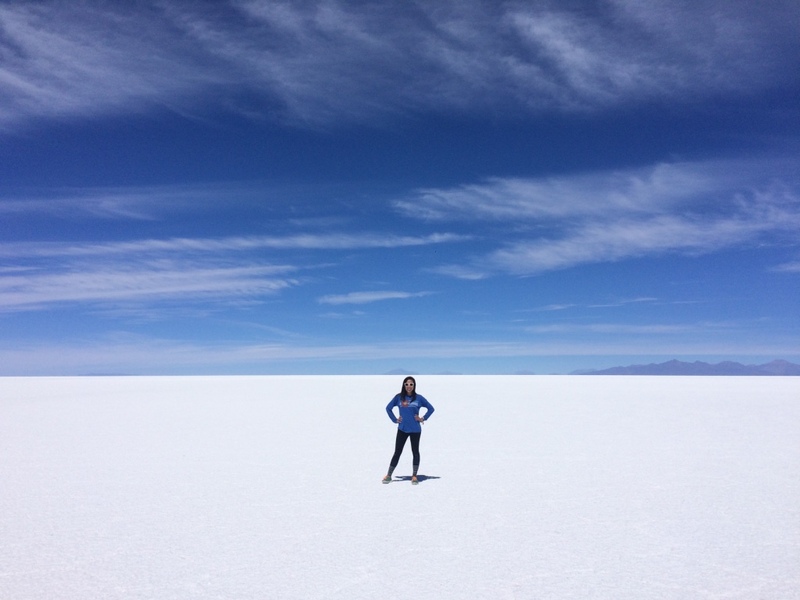 And then Casi, our guide, ushered us into the car and drove us out through miles and miles and miles of white, salt flat nothingness to a totally desolate, empty area. It was amazing to me that he knew where the heck he was going. Because it was seriously just pure, white saltiness everywhere. 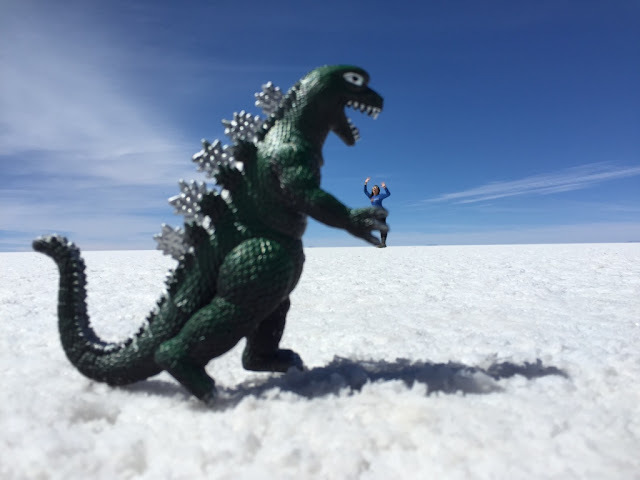 And now, get ready for tons of ridic salt flat photos! Someone commented to me that my knees bend freakishly far backwards. 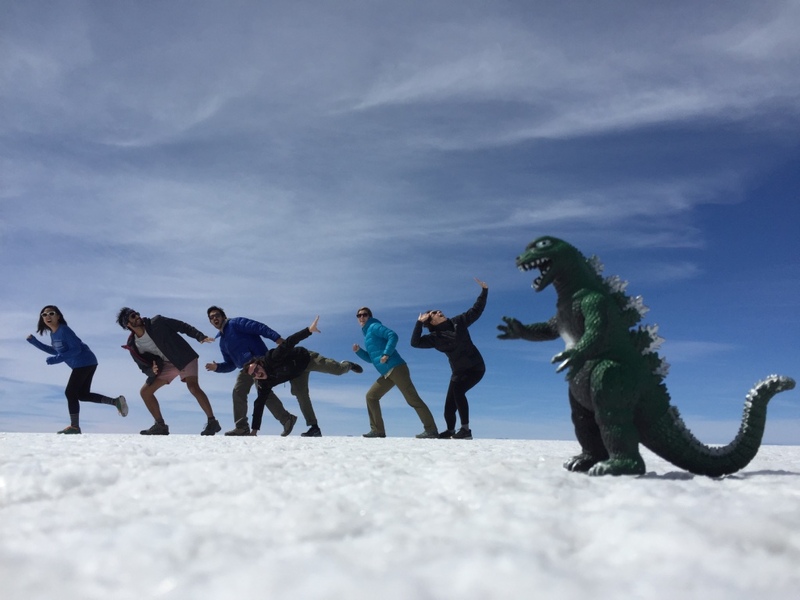 Our signature boy band pose, of course. 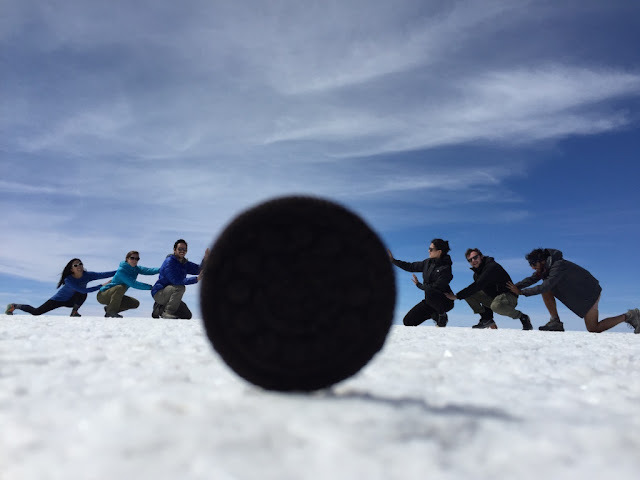 We are all supposed to be pushing an Oreo, but it was out of focus! But I got to eat it afterwards. It was delicious. 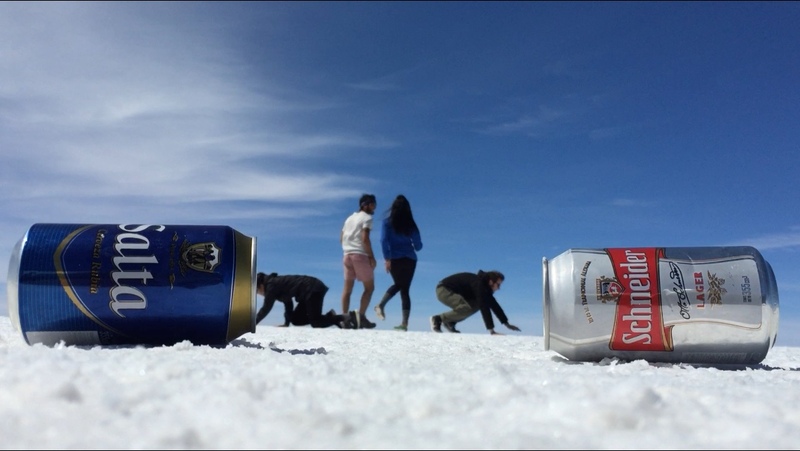 And then we made a ridiculous video where we crawled out of beer cans to dance. Again, Blogger is the worst and is uploading-video-challenged, so I can only post screenshots. But trust me when I say the video is epic. It was so much fun, I can't even tell you. There are loads of brilliant other ideas people have come up with for photos on the flats, so anytime you're REALLY bored, you can google image some of them. They're amazing. After the flats, our guide told us he'd take us somewhere a little off the beaten path. 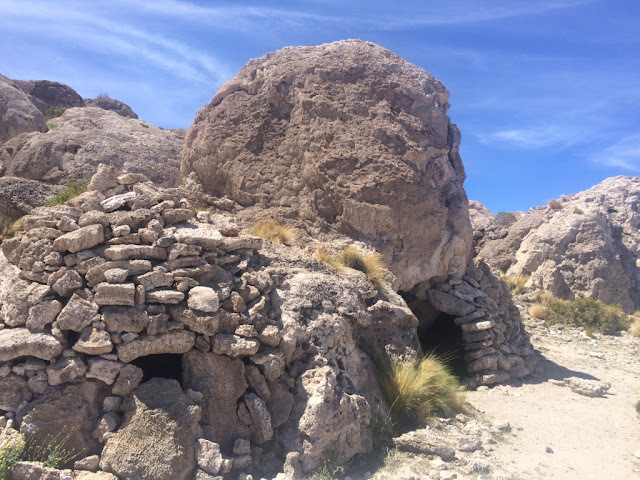 We drove for awhile to these caves, which apparently used to be the tiny cave homes of a long, lost civilization of the area. Oh cute, a little cave home! 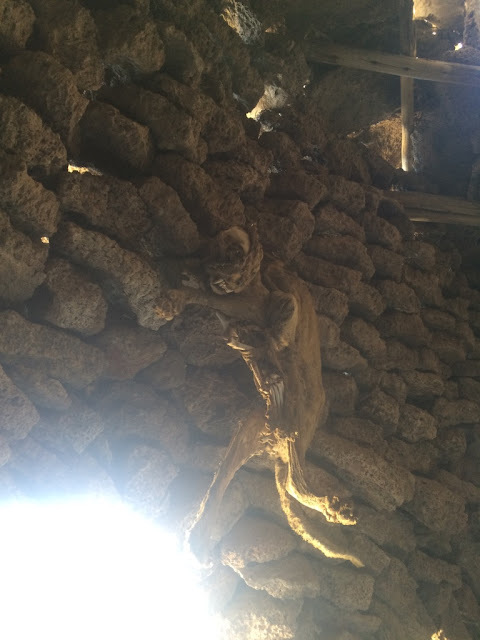 ......and then we walked inside, and MUMMIES. SERIOUSLY JUST DEAD PEOPLE'S SKELETONS LYING THERE IN DISARRAY. I don't know what we expected, but it certainly wasn't a ton of dead people. 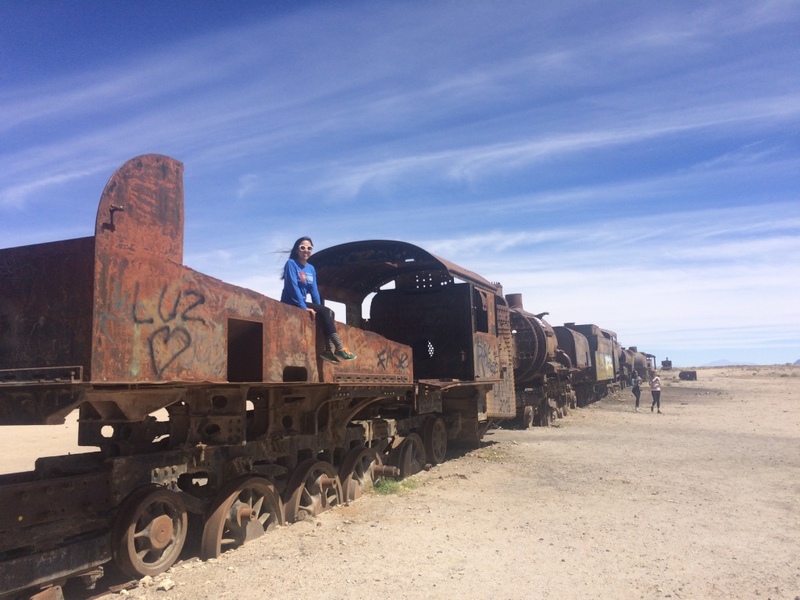 The last stop of our epic tour was an old train graveyard right outside the city of Uyuni, in Bolivia. Uyuni used to be a major port for minerals and mining, and they'd ship them by rail. 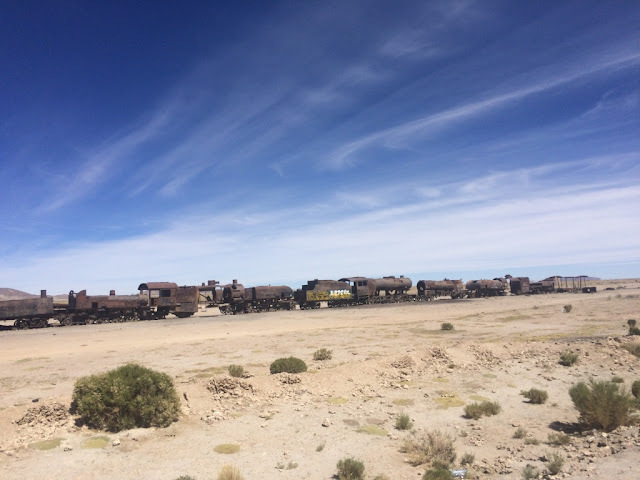 But then many of the mines were depleted, and the trains were basically abandoned and fell into disrepair; right outside town. And somebody's installed a swing from one of the cars! 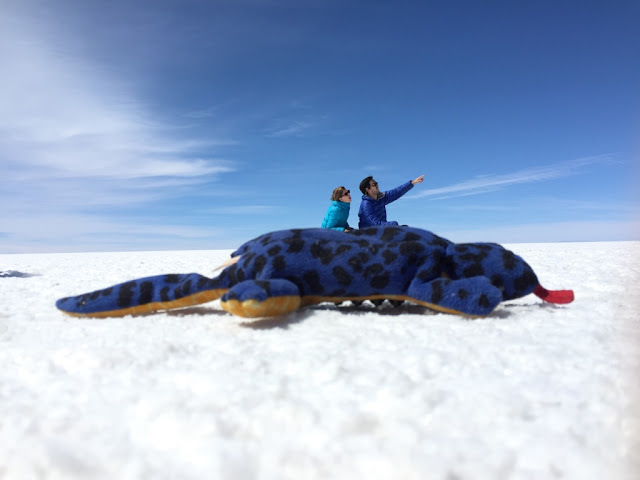 Overall, the salt flats of Bolivia were just as amazing as I'd always imagined - it's just one of those places where you realize how many surreal, different, crazy, and amazing places there are in this world. Every meal we had on the tour was delicious (mayo and ketchup with pasta?? YES PLEASE. And I am not being ironic). But nothing was better than arriving in the city of Uyuni after three days in the desert, and finding a place like Minuteman Pizza. 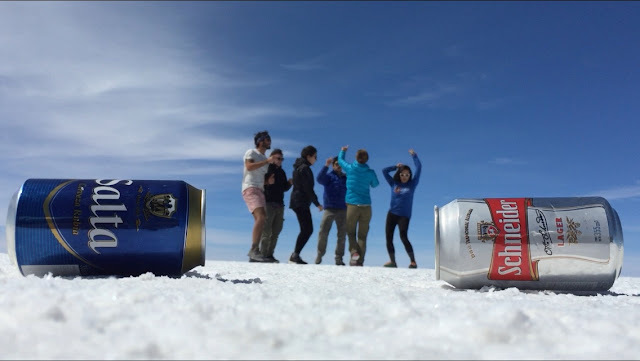 Minuteman Pizza was started by a guy from Boston who married a Bolivian woman and ended up moving out to the middle of nowhere, Bolivia (Uyuni) to open his own pizza parlor. It's got all the trappings of a delicious pizza place - cute vintage signs, huge choco chip cookies, homemade lemonade, a wood-burning pizza oven, and tons of delicious pizza options. AND THE PIZZA WAS DELICIOUS. 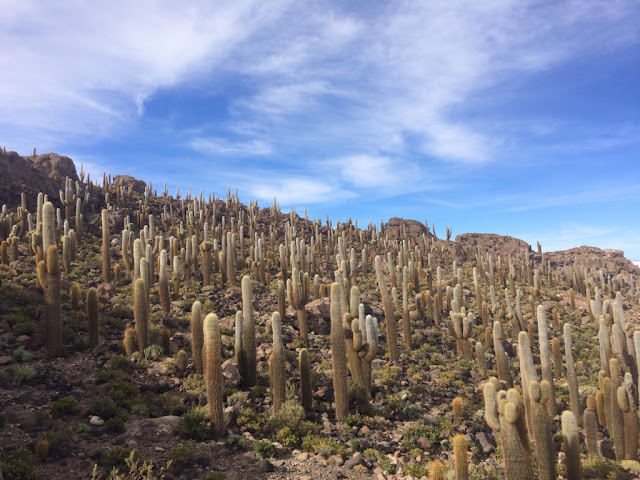 Truly an oasis in the middle of South America, as sometimes you just. want. 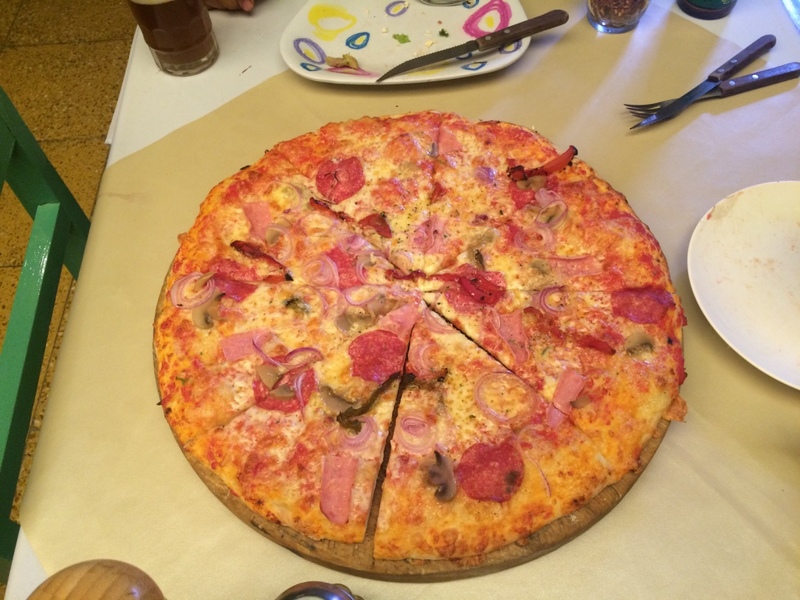 pizza. Do they mine (farm? harvest?) the salt to use? Or does it just stay there? Also, what's with all the random empty bottles with the mummies?! Do people like party in the caves with the skeletons? Cuz that's the last place I'd feel like hanging out for an extended period of time, but maybe that's just me! I think the empty bottles and stuff are all offerings!! 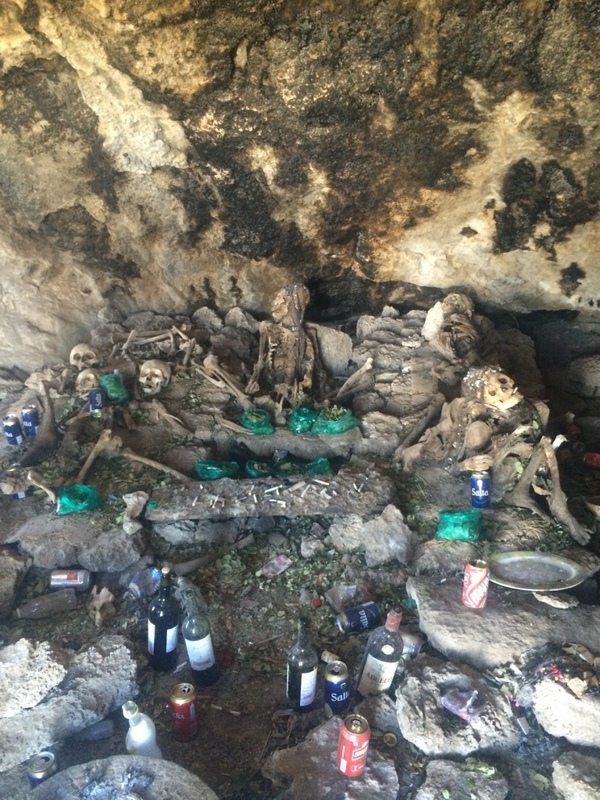 But outside the cave home was a ton of trash and more empty bottles, so maybe people come and drink with the mummies too?? It was so strange. We didn't even know where to begin with the questions.